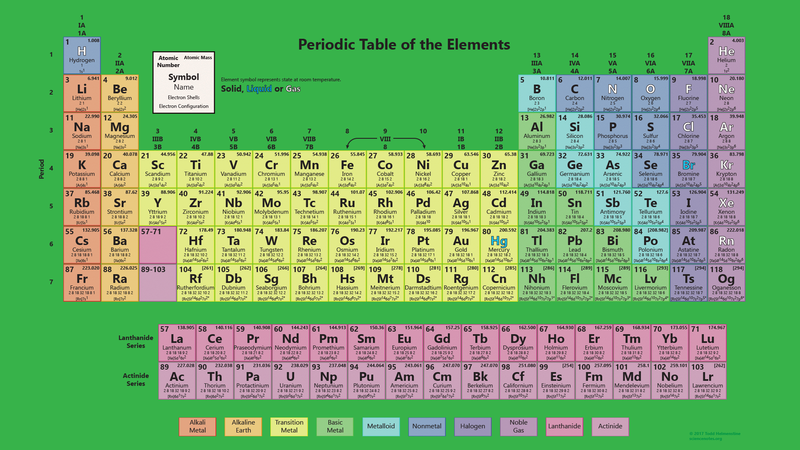 This periodic table wallpaper contains all 118 elements. 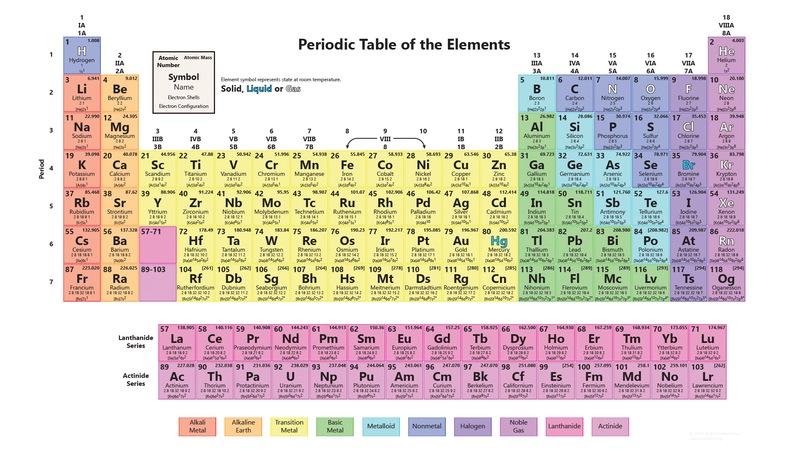 Each tile contains each element’s atomic number, atomic mass, symbol, name, electron shell configuration, and electronic configuration. 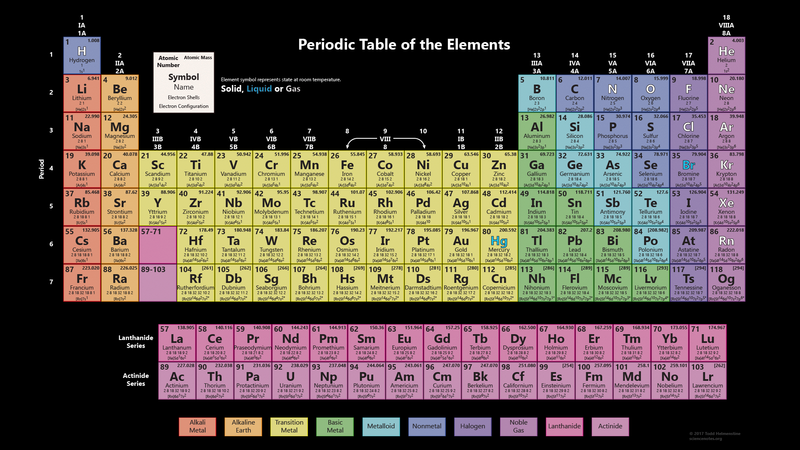 The symbol color represents the state of the element at room temperature. The different colored tiles correspond to the different element groups. This table is optimized to fit on any HD screen as a wallpaper [Download Image]. A PDF of the table is available for printing. The table is quite readable if the “Fit” option is chosen when printing. If a darker table is preferred, here is the same table with a black background [Download Image]. For fun, I’ve added a version with a more stylized green background [Download Image]. I’ve noticed an error – for tables which include the state of the element at room temperature, Hydrogen is conspicuously dark i.e. a solid! I’ve fixed the table’s image and PDF so this error isn’t as easy to spot. Thanks!